Glenn Hammond Curtiss has been called The Real Tom Swift, The Pioneer of Flight, The Founder of the American Aviation Industry, The Thomas Edison of Aviation, The Henry Ford of Aviation, The Architect of American Aviation, and The Father of Naval Aviation, to mention just a few. But those who live in Miami Springs would all probably agree that the best title is The Founder of Miami Springs. This amazing man of vision created a town that has retained some very unique characteristics for 90 years. He also founded the cities of Hialeah and Opa-locka. 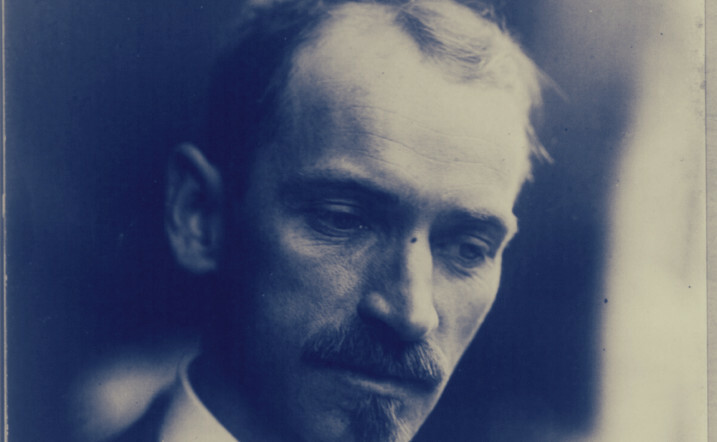 Yet how much do you know about Glenn Curtiss? Glenn Hammond Curtiss was born in the quiet little town of Hammondsport in the Finger Lakes region of New York on May 21, 1878. His grandparents, Claudius G. Curtiss, a Methodist Episcopal clergyman, and Ruth Bramble arrived in Hammondsport in 1876 along with Glenn’s parents, Frank Richmond, a harness maker, and Lua Andrews. Glenn had a little sister, Rutha Luella, who was also born in Hammondsport. Most towns in the Finger Lakes region have a glen close by where families can spend summer days playing games, swimming, picnicking or just relaxing. Frank and Lua were so enamored with the beauty of the surrounding glens that they chose Glenn for their son’s first name and part of the town’s name where he was born as his middle name. It wasn’t too long before Hammondsport attracted the attention of international vintners, including the renowned Masson family. They were so captivated by the quality of the region’s wines that some of them moved to New York from France and began producing premium wines. Did you know that Hammondsport is the home of America’s first “champagne,” or more correctly, sparkling wine? Aside from producing fine wines, the Massons and other wine makers were instrumental in helping Glenn start his first business by providing financial backing. Tragically, Glenn’s father and grandfather died while he was still a child. His mother remarried and moved the family to Rochester. Glenn and Rutha, who was deaf as a result of childhood meningitis, returned to Hammondsport every summer to visit their grandmother. Glenn left school after the eighth grade to help support the family and started working as a Western Union messenger. He was known to speed through the streets delivering telegrams faster than anyone else. On the weekends, he would race his bicycle at events throughout the region, usually taking home cash prizes, and sealing his position as the champion rider for western New York State. A couple of years later, Glenn started working for the Eastman Kodak Company assembling cameras. Although he loved working with cameras and became a talented photographer, he was frustrated by the dullness and slowness of the assembly line. He asked to be paid by the piece rather than by the hour. His supervisors thought that the young man had lost his mind and knew that they had just struck the bargain of a lifetime. Unbeknownst to them, Curtiss had developed a device that cut the work time in half and quadrupled the output. Kodak used his invention far longer than they employed Curtiss – they simply could not afford him.